In the last weeks some important facts occurred in Valpolicella. Here we report the main three. Gallo announced that it has been awarded the exclusive rights to distribute Italy's Allegrini wines in the United States beginning April 1st, 2014. Allegrini has ben handled in the U.S. by Winebow for many years. "We have a real opportunity to more successfully compete in the luxury wine segment. Allegrini is a great addition to our portfolio, and we're thrilled to have the chance to represent them", said Roger Nabedian, Senior Vice President of Gallo's Premium Wine Division. He added: "The Allegrini Estates consist of the historic Allegrini property in the Valpolicella region, which produces several noteworthy wines, as well as an up-and-coming property in the Bolgheri appellation of Tuscany, Poggio al Tesoro. We are excited to share these award-winning wines with American consumers". The Allegrini family has played a leading role in the history of Valpolicella since the 16th century and has passed on the culture of winemaking from generation to generation. Today, sixth generation family member Franco Allegrini leads winemaking at the estates, while his sister, Marilisa Allegrini, leads sales and marketing. Allegrini is one of Italy's leading wineries and has received numerous national and international awards and accolades. "As a family-owned winery, I think that we find a synergy working with Gallo, the largest family-owned winery in the world," said Marilisa Allegrini. "We each compliment the other very well: Allegrini brings over 400 years of winemaking experience in Italy and Gallo has an established reputation for excellence in the US wine market. We feel privileged to join the family and its network of distributors, and will continue to focus on the quality of our wines and the quality of service to our clientele". The Allegrini portfolio includes the Allegrini and Poggio al Tesoro brands. Gallo imports and markets wine from Argentina, Australia, Italy, New Zealand and Spain. As from the 1st January 2014, Tenimenti Angelini, the branch of that Group’s business relating to its agricultural activities in the Marche and its wine production operations in Tuscany, has been transferred to Cav. G.B. Bertani. On that date, Cav. G.B.Bertani changed its company name to Bertani Domains, whilst maintaining its headquarters at Grezzana, Verona. The new BERTANI DOMAINS group consists of Cav. G.B. Bertani at Grezzana, Tenuta Novare at Negrar (VR), Puiatti Vigneti at Romans d’Isonzo (GO), Val di Suga at Montalcino (SI), Tre Rose at Montepulciano (SI), San Leonino at Castellina in Chianti (SI) and Collepaglia at Jesi (AN). It owns 500 hectares of land, 350 of which are under vine, in the zones for Amarone, Brunello di Montalcino and Nobile di Montepulciano, and there are also 1,000 hectares of agricultural terrain in the Marche. Overall, in 2013, the above companies produced and distributed 3 million bottles for a turnover of 20 million Euro. With the creation of Bertani Domains, a group has been formed that will establish a new position in the panorama of Italian and international wine producers, with the goal of charting, over the next few years, a wide-ranging course for growth. The decision to extend the Bertani name to the entire group stems from an awareness of the degree to which this name has a strong symbolic value for consumers and for the marketplace in general. Masi has been awarded the rights to build a new visitor centre, new offices and a new space for drying the grapes. 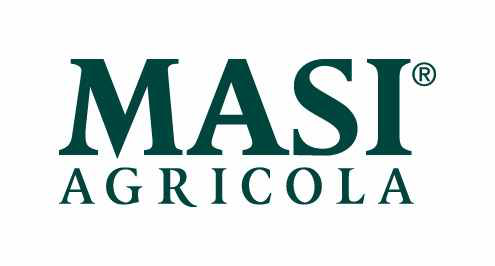 A new "visitor centre" for Masi Agricola Company. Masi has been awarded the rights to build a new visitor centre, new offices and a new space for drying the grapes. The request has been discussed and approved recently in the town council of Sant'Ambrogio di Valpolicella (the municipality where the company lies). "Masi will build in Monteleone (a place near Sant'Ambrogio) a new building called "visitor centre", thanks to which the winelovers will see the whole process of winemaking from grapes to wine - the village's mayor Nereo Destri said - This new building is a project by the renowned architect Libero Cecchini, and will be connected by a tunnel underground to the current company's headquarters, placed on the other side of the municipal street".